Mattress Cleaning Ottawa Service, do you know who you are in bed with? One of the most overlooked items in your cleaning list is your mattress. In order to receive the premiere mattress cleaning Ottawa has to offer, you need to call ECO-PRO because we are the Ottawa mattress cleaning professionals that you can trust. We spend one third of our lives in bed, but do you know who you are sleeping with? 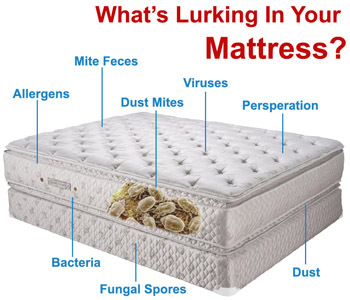 Mattress cleaning and sanitation can be one of the easiest fixes when someone suffers from night time allergies. Considering we are sleeping with some very unwanted guests. Most of us do not recognize just how essential it really is to get your mattress steam cleaned, extracted and Sanitized on a regular basis. It’s a recognized undeniable fact that all of us spend no less than 1 / 3 of our life lying in bed. While lying in the sack we’re in contact with numerous allergens that are transferred within our mattresses for example: Pollen, Dander, Dead Skin Cells, and most harmful of all Faecal Matter from Dustmites. With ECO-PRO home services, we are specialists in allergy reduction and the first step is to have your mattress cleaned with our 5 step process. 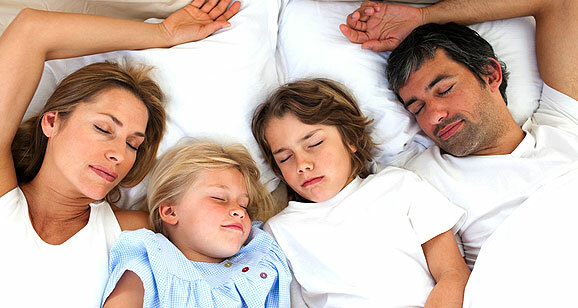 Better night sleep is on its way with our Mattress cleaning Ottawa service experts from ECO-PRO. View this short video below to get a better idea of what dust mites can really do to your health.